I like to listen to music while I’m working. In fact, I like to listen to music all the time. For anyone interested, I put together a 6+ hours Spotify (yeah yeah) playlist of my favorite tracks from 2014 (and still working on it). NPR Music has put together a massive playlist of their best of 2014, Songs We Love. That link above launches the groovy in-browser app, which lets you listen on shuffle, choose a genre, and gives you artist info, as well as other functionality. You can view the entire list here if you are more eye-curious than ear-curious. 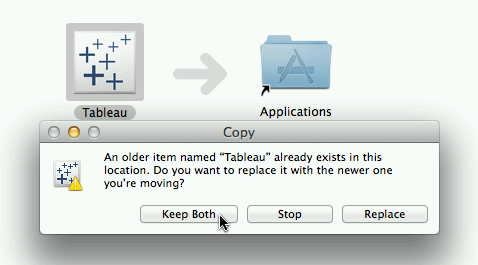 Do you have multiple versions of Tableau Desktop installed on your Mac? You might be beta testing the new version, but still need to work with a current version for production work. Wish you could just right-click on a .twbx and choose on the fly which version to open it in? 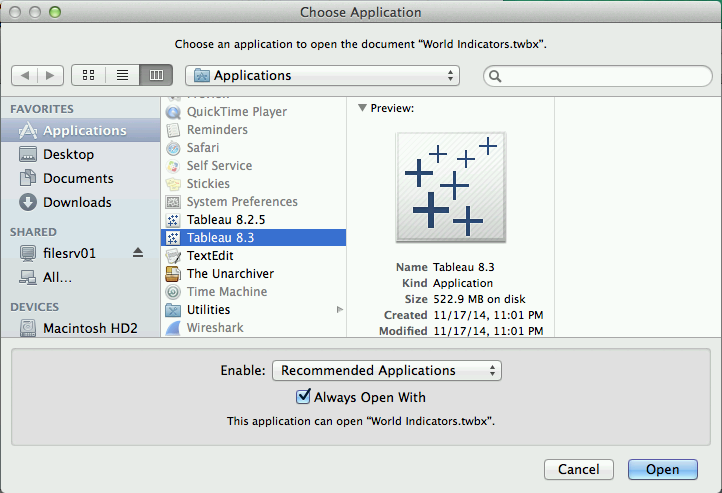 Install multiple versions of Tableau Desktop on your Mac. 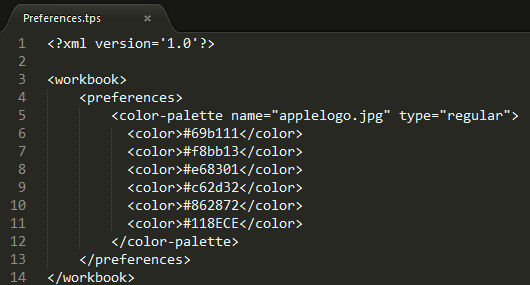 Go to the Applications folder and rename each one with its version so you can keep them straight. Now, you can right-click and have your choice of Tableau version available at your fingertips. Enjoy! Post a comment if you have any questions and I’ll do my best to answer when I get a chance. 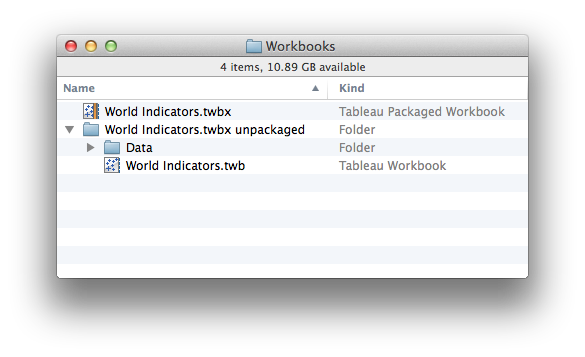 Tableau Desktop’s .twbx packaged workbook files are archives which contain both a .twb workbook file and the data. On Windows, Tableau Desktop installs an “Unpackage Workbook” command which is available by right-clicking any .twbx file. And Tableau Desktop is coming to the Mac! But the unpackage workbook feature is not included in the initial release. 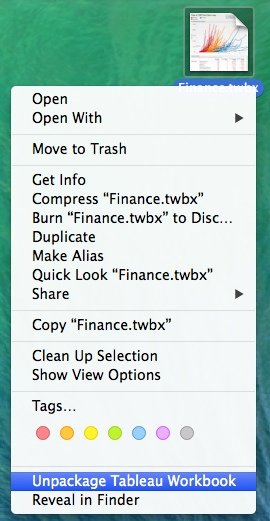 As a workaround, you can rename a .twbx file to .zip, then double-click the .zip file to decompress it. But if you want to be able to right-click (or control-click) a .twbx file and choose “Unpackage Tableau Workbook” on your Mac, here’s what to do. Warning: this is an unsupported utility! Download this Automator workflow file, unzip it, and double-click Unpackage Tableau Workbook.workflow. When prompted, click Install, then click Done. To use, just right-click or control-click a Tableau packaged workbook and select Unpackage Tableau Workbook. 1. 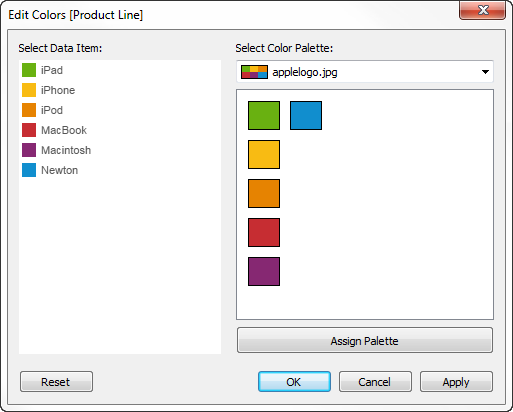 The file does not require a .twbx extension, as long as the file type is Tableau Packaged Workbook. 2. If the service is run on a file other than a Tableau Packaged Workbook, the service will take no action. On the Mac, both the .twb and the data directory go inside a new folder. 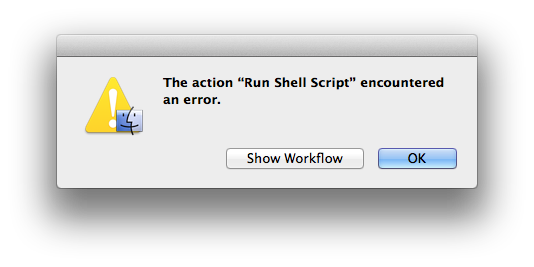 It’s a simple Apple Automator workflow which calls a shell script. Sometime soon, I’ll write another blog post soon explaining the details. I also hope to post the code to github, in case you want to contribute improvements to the community. If this was helpful to you, please leave a comment and let me know! If it’s not working for you, feel free to leave a comment, but I make no promises that I’ll respond or be able to help – your best bet is to just follow the uninstall information above. Back in the early days of PC’s, comparing performance was relatively easy: just look at the processor and the clock speed. A 486/33 (with an Intel 80486 CPU running at 33mHz) will perform calculations about twice as fast as a 486/16. Figuring out performance from mobile device specifications is a little more opaque these days. It can be much quicker and easier to just run a benchmark. Web developers and users notoriously hate old Internet Explorer versions. You might think from the web that as of April 8, 2014, Internet Explorer is going to be unsupported, end of life, on its way out, an ex-browser, going the way of the dodo, dead. It is only on Windows XP that IE 8 is going EOL. IE support now follows the support lifecycle of the OS it is running on – so EVERY version of IE on XP is going EOL next week, not just IE8. IE8 originally shipped as Windows 7’s built-in browser version. IE8 on Win7 (like Win7 itself) is still in mainstream support until January 2015. IE8 on Win7 will be covered under extended support until January 2020. It’s the latter date – end of extended support – which most IT teams consider to be EOL for MS desktop products, because that’s when they’ll stop getting security updates. So, if you create software for enterprises, you may have customers using IE8 for years to come. Sometimes people refer to a Macintosh computer as a MAC – in all caps. Further, it is a sign to Mac users that you don’t really get Macs. I’ve heard the argument that MAC is the correct parallel to PC. But this is incorrect; PC is an acronym for Personal Computer, while Mac is the short form of Macintosh, just as Dan is short for Daniel. Don’t believe me? Check Apple. You’ll see they only ever use Mac – even when combining Mac with other words (Book) and letters (i). Apple only uses “Mac” – never “MAC”. So if you want to look literate to Mac users, don’t call it a MAC. This is one of those things that is like USING ALL CAPS IN EMAILS. While it doesn’t bother some people at all, it really bugs other people. So, you’ve investigated a problem, asking why and how. Now you’ve got to write up a root cause analysis report. And that’s where the art comes in. A good RCA is one that can, ideally, be used to make changes at the root cause to avoid having this sort of problem occur again. In some cases, an RCA won’t be able to achieve that goal, but even then it can provide value if it helps make clear how to work around the problem, or why the problem cannot be easily solved. So a RCA report should focus on what is relevant and actionable for the audience. In this application crash example, talking about issues around development practices (compiler settings, IDEs, code review practices) might be quite helpful for the developers, but it doesn’t help the end user of the software; they can’t influence the development process. Instead, focus on what is actionable for them. In this example, this could include both staying current on maintenance releases, and making sure the relevant details of the end user’s scenario or environment is communicated to the developers, so they can be included in test cases. So you might produce an RCA for the customer from this which focuses on those aspects, and doesn’t go down the development path. Of course, it’s still a good idea to share those items with the development team! John Allspaw, who runs Etsy’s operations engineering group, talks about doing ‘blameless postmortems’ as a way to improve, scale, and learn. Etsy is in the top 50 most-visited websites in the US, top 150 globally, so you may want to listen to his advice. We enable and encourage people who do make mistakes to be the experts on educating the rest of the organization how not to make [mistakes] in the future. We strive to make sure that the blunt end of the organization understands how work is actually getting done. In order to understand how failures happen, we first have to understand our reactions to failure. While “why” is an excellent question to help understand causation, chains of events, and motivation, asking “how” can help uncover systemic issues. Better still, asking “how” can also help you understand what needs to be done to defang those issues. Knowing how a situation can turn out badly can give you the answer to what needs to be changed so that similar situations will have better outcomes in the future. I’ve found that once we understand how a mishap came to occur, it is often immediately clear to everyone what needs to be guarded against. It’s even fairly frequent to have a good idea at how such a safeguard can be implemented. So, next time you are involved in a root cause analysis, by all means, keep on asking those five whys. But don’t forget to ask “how?” a few times, too!